Founded by two experienced DJ's, both residents of DI.FM internet radio, Silent Discussion promotes high profile, guest-led events in Australia and at Budapest, Hungary. Minimal Techno is the main theme of these events. We have a commitment for ongoing support for events in 2015 with programs supporting the "Budapest in the Dark" theme in Budapest. Hungary. 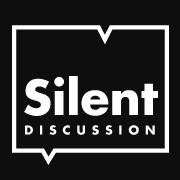 Silent Discussion have hosted, Troy Pierce, Miro Pijac, Nino Blink, Terry White and Luigi Rossi in early 2015 to date. Peter Vidra (Seldon) based in based in Budapest, Hungary.